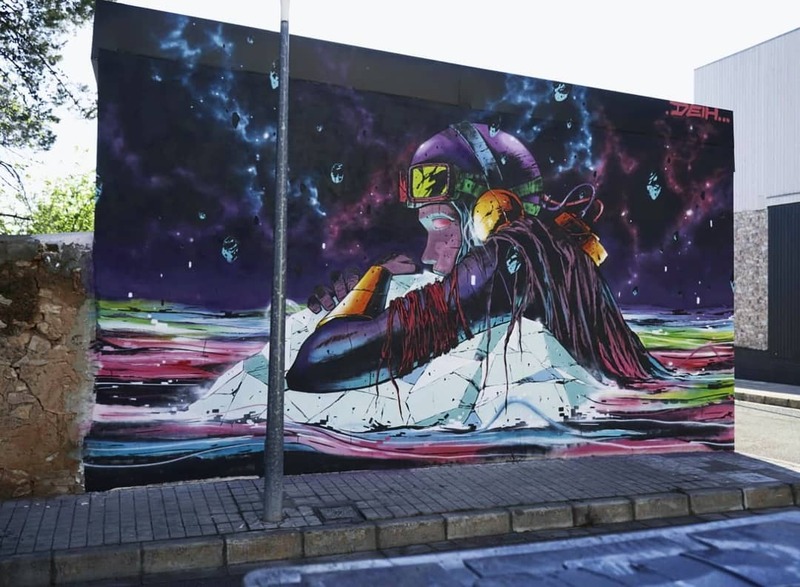 Cheste, Spain: new mural by DEIH for Graffitea Cheste. Location: Calle Miguel Hernandez 1. Credits photo: Javier Garcia Soria.